In the Philippines, liquor is well-loved, whether it be vodka, gin, tequila, wine, brandy—you name it . Plus, liquor is something that connects people, even if they come from different lifestyles and backgrounds. There’s just something about liquor that draws people to it. Are you a part of this population? And do you love liquor so, so much that, at one point, you’re considering pursuing a career in it? Well, there’s some good news for you. There is a career opportunity in this industry. 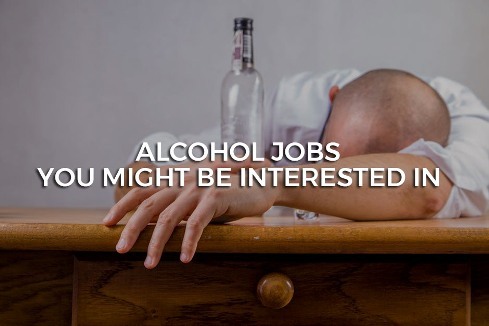 Here are 10 alcohol jobs you might be interested in. This just might be the dream job of many. Imagine being paid for drinking beer—that doesn’t even seem like work at all! You’ll also be given the opportunity to travel to different places and try out various pubs. If there’s a professional taster, why shouldn’t there be a sniffer, right? This is probably one of the most famous titles in this list. It can be a fairly fun job, and it also exposes you to tons of people. So if you’re sociable and outgoing, this might be your thing. Plus, if you perform well and your customers really love you, you might even be graced with generous tips. However, because a bartender is in direct contact with people, it also means that you’ll have to deal with drunk customers and nicely telling them off when you think they’ve had too much drink for one night. A brand ambassador represents and promotes a particular brand of liquor, especially during special events. Brewers are often a part of huge companies in the alcohol industry. This job, however, requires you to have a technical background. Most brewers, in fact, are trained in the sciences or engineering. Have you always had a fascination with wines? Then you might want to consider the life of a winemaker. As the name suggests, a winemaker basically creates various wines. Being a sommelier is perfect for those who are passionate about wine and fine dining. This position requires you to dedicate a great deal of time in learning about wine. After all, this job revolves around educating your customers about wine, as well as recommending a drink that will suit their taste. Are you more of a beer person? Then be a cicerone instead. It’s essentially just a sommelier for beer. Mixologist sounds like such a fancy title, doesn’t it? It’s basically all about mixing cocktails. You need to be well-versed in this type of liquor, and you also have to be creative and innovative to be able to craft various cocktails. The alcohol industry isn’t always synonymous to fun. In severe cases, liquor can also ruin lives, and it will be a counselor’s job to lead these misguided people back to the right path. In the Philippines, liquor is a favorite by many. You’ll find people reaching out for all sorts of alcoholic drinks, especially in special occasions. There are some, however, who might adore liquor so much that they’re considering pursuing a career in it. Good news is that there are alcohol jobs available out there!